John Muccianti spent 30+ years building this H.O. 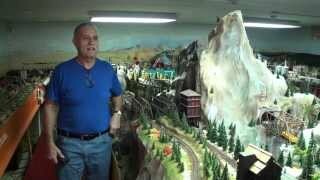 model train layout and this is the 1rst video for the public to view. This could be one of the greatest H.O. model train layouts created from a private collector. Every area on the layout is complete. The engines, cars, and scenery on the layout are of the highest quality and all add a factor of realism.